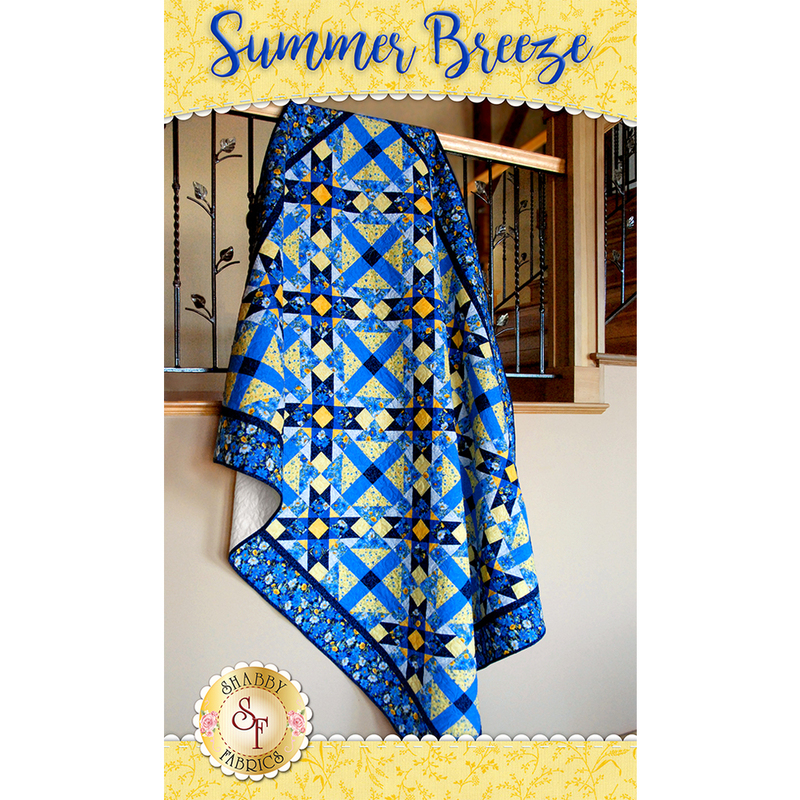 The Summer Breeze Quilt Kit will instantly add color and flair to any room it's in! This quilt features floral prints in shades of bold blue and yellow that will give your space a touch of homespun elegance. Quilt finishes at approximately 63½" x 83½". This Kit includes the pattern, all top fabrics to complete the quilt including the borders and binding. Backing is NOT included. If you want to purchase your own backing you will need 5¼ yards. Add the Olfa Splash 45mm Rotary Cutter below to help with your precision cutting and the Omnigrip 6½" Square Ruler and Black Frixion Pens for creating the half square triangles.